Open Server manager > Local Server. 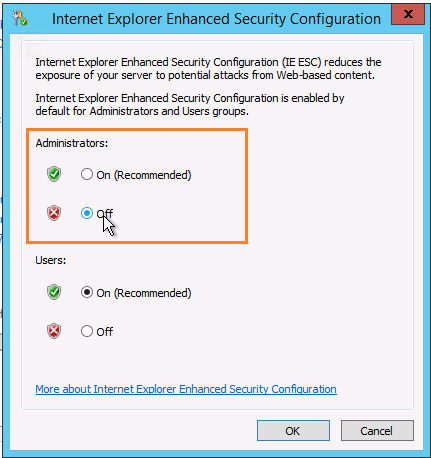 Click on IE Enhanced Security Configuration. Press OK and Restart IE. 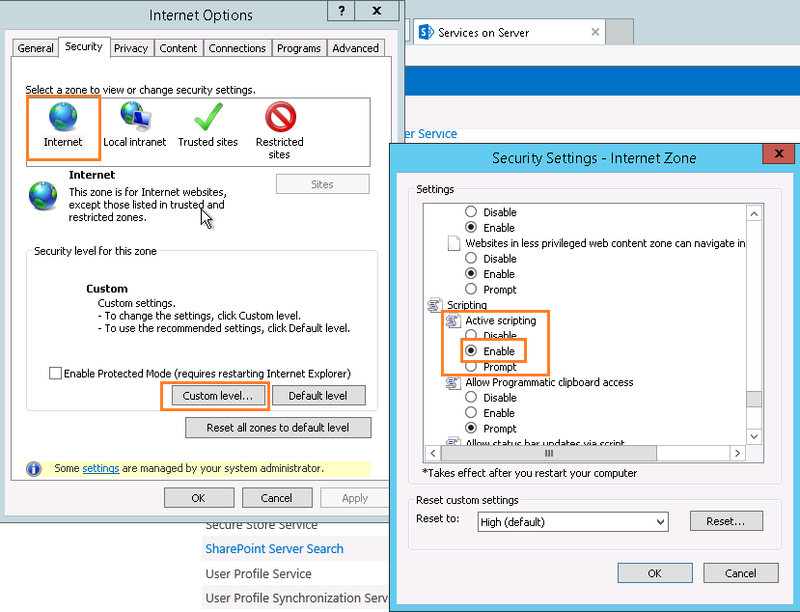 Open Internet Explorer > Tools > Intranet Options. Security > Internet > Scripting > Enable.